This one is from the Fresh Batiks line. 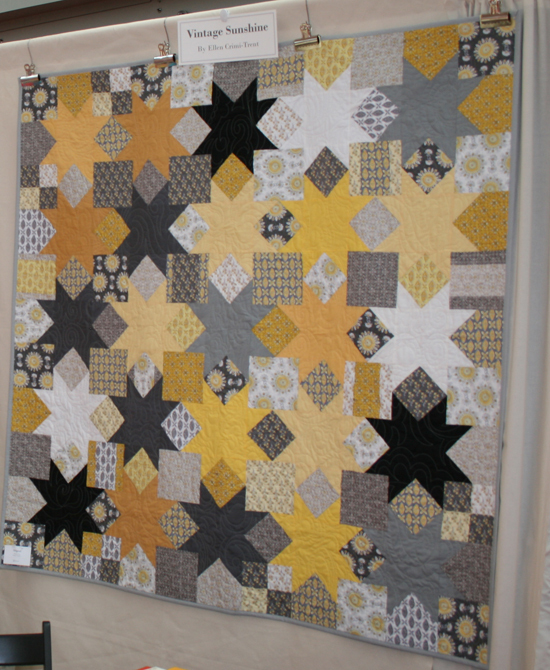 This is the Vintage Sunshine line by Ellen Crimi-Trent. 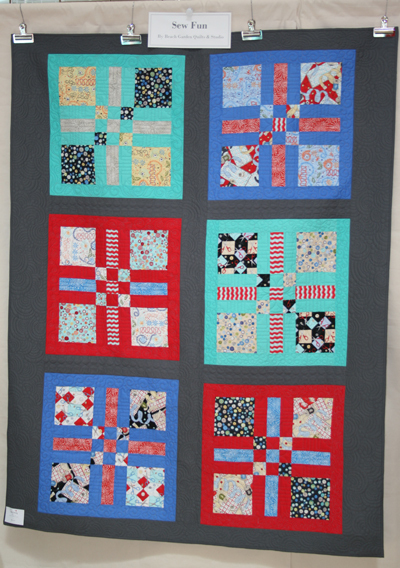 This quilt used fabrics from the American Made Brand and LB Basics. The American Made Brand is a new venture from Clothworks. It is a pretty exciting idea. The goal of this brand was to produce fabrics made completely in the USA, from sourcing the cotton to milling and dyeing. The results are a collection of gorgeous solids. 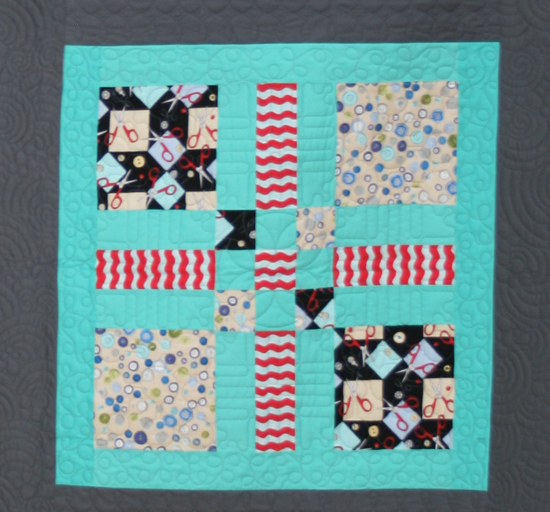 If you are a quilter, check out the Farm to Fabric Challenge. 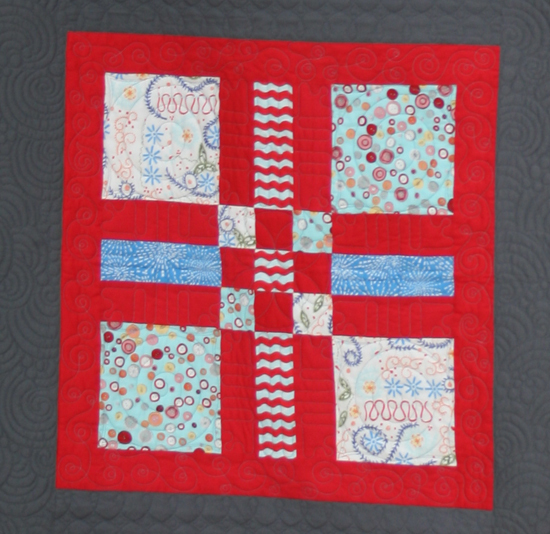 It is a juried exhibition of quilts made exclusively with American Made Brand solids and will premiere at Fall Quilt Market. Registration opens June 15th, so check it out!